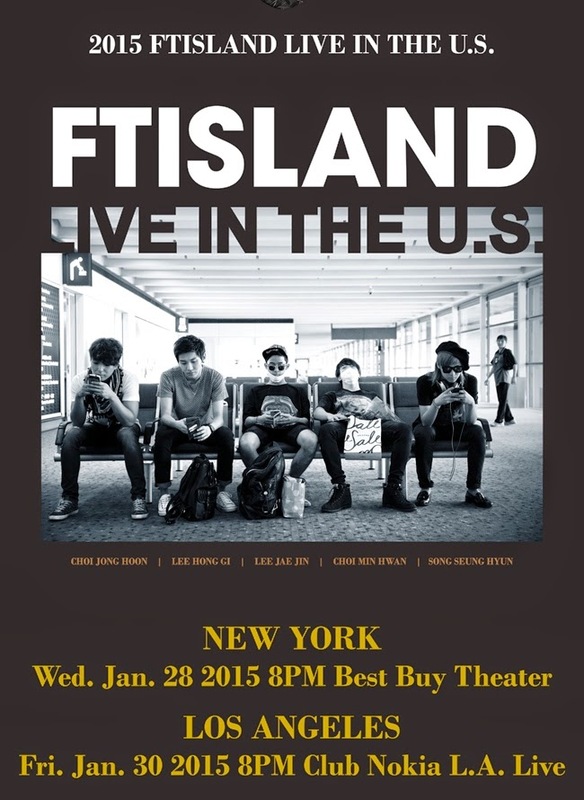 Besides the Junsu show here in New York, which happened before I moved here, there is one other show which makes me all pouty that I missed–and that was the CNBlue and FTIsland double headder. Although to be honest its the Junsu one which keeps me up at night, wracked in tears and sobs over the missed opportunity. Me and McThrusty in the same room? Swoon Oh right, and the time Nell played in NY. I’d kill to see Nell play in real life. But the CNBlue, FTIsland is a close third. Anyway, after that unfortunate event where I was on one side of the country and the two bands I currently loved (It was early in my Kpop fandom) were playing on the other, I have managed to see CNBlue twice in concert, once last year at the Best Buy theater where, despite my craptastic seat, they were freaking awesome, and the second being at KCon. 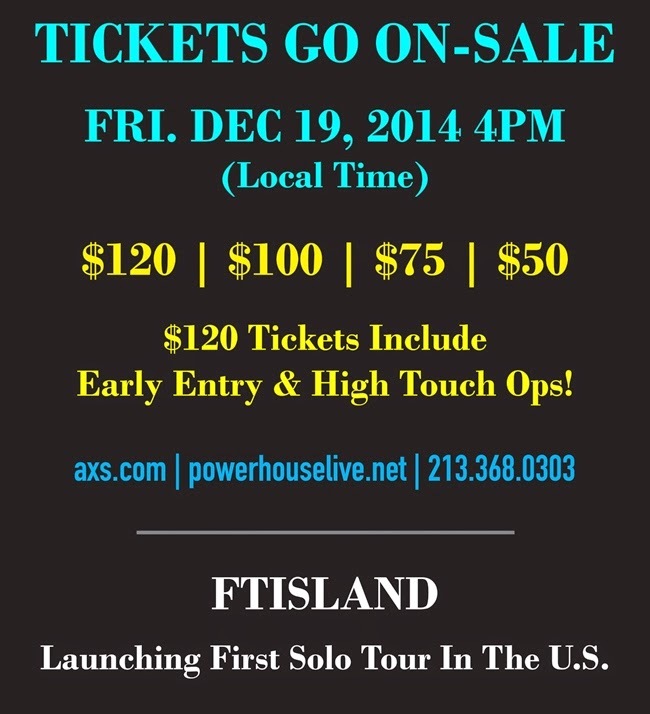 Now all that’s left is FTIsland. And now they are coming here. The two concert dates were just announced the other day and in regular Kpop concert style, the tickets go on sale tomorrow. (WHY promoters? Why only give us like 48 hours notice? Harumph.) So as a present to my past self, I will be in line for a ticket. But which one? Do I spring for a high touch? Looking at the price of the ticket the high touch is just twenty dollars more than the GA ticket, so it’s not that much of a stretch. This also makes me step back. Why are the high touches so cheap? For those of you not in the know a high touch is where you can go and touch the band (think high-fives you dirty thinkers–although I did hear of one girl who grabbed a member of Vixx’s hand and licked it). I’ve never done the high touch as they are usually expensive, and then there is the squidge factor of paying money to touch young men. See??? Put in that perspective don’t you who have paid for a high touch feel just a little dirty? Not to mention I am of a certain age where I’m older than most fans and the band, so there is an awkwardness I don’t think I can get past. Of course if it were Junsu…. Thinking about it, even if it’s only $20 more, I’m not even sure if I want to do do the high touch. Looking realistically at the band, my fandom isn’t what it once was. Do I like them? Heck yeah! Do I love-love them? Ummm….no. Honestly, the only member I actually know is Hong Ki. And that makes me feel bad for them. When I talk to my Kpop loving friends, they have pretty much said the same thing–“We’re going to save our money for BTS.” Poor FTIsland. Poor Jeremy. I will say I’m pretty excited about taking my new camera to the concert. Since this is a non-dancing band, I’m going to get some great shots!! Son Ye Jin—Stop Stalking Me!